*Valid for the 21 x 28, 28 x 28 photobook format with glossy and matte photo paper pages. Valid until 30.04.2019. *25% discount on selected wall decors. Valid for Alu-Dibond and Canvas surfaces in 20 x 30, 30 x 45, 40 x 60, 50 x 75 and 60 x 80 formats. Cannot be combined with other promotions or vouchers. Valid until 30.04.2019. You can retain the memories of your unforgettable wedding, previous travels, or family celebration in our photobooks. High quality: First-class quality on Fuji Crystal DP II Professional Paper. 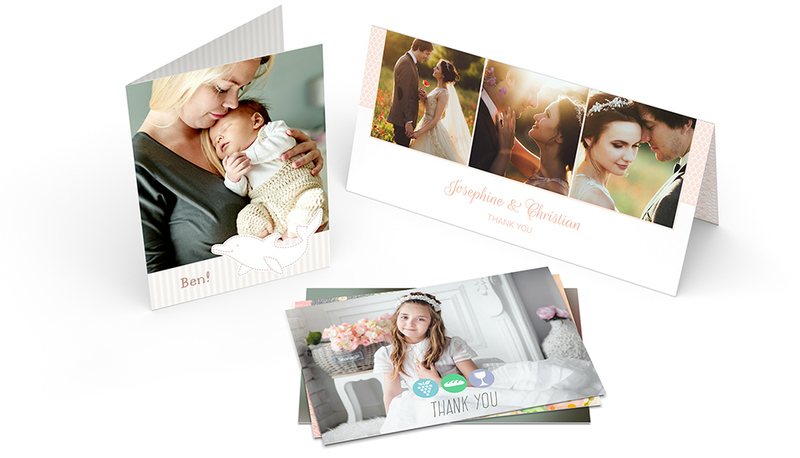 Not just photos: photo stickers, photo blocks and retroprints. Photo gifts: photo cards, smartphone cases and T-shirts. 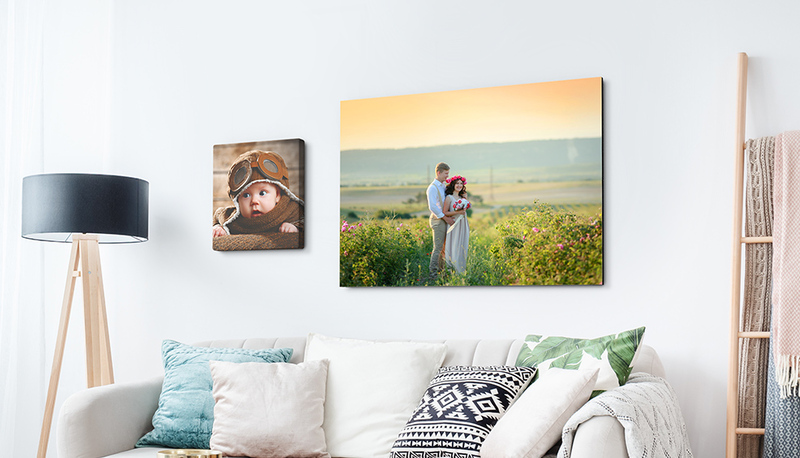 Put your photos into perspective and create a visual impression for your friends and visitors with your wall paintings. The right card for any occasion. Classic cards, folding cards and folding cards - individually designed. Transforms your art into a masterpiece with a fine texture. Hahnemühle Certified Studio: One of the very few certified dealers. Hahnemühle Paper: FineArt Photo Rag®, FineArt Pearl or FineArt Baryta. Your image deserves attention! Transform your photo into a high quality poster to give an amazing visual effect. Different surfaces: Choose between five impressive papers from FUJIFILM or Kodak Metallic. Create an impressive monthly calendars, table calendars year calendar using your favorite pictures. Your calendar: Holidays for 13 countries and more. Fine paper grades: Classy surface options with art print. Annual calendar: The whole year in view. 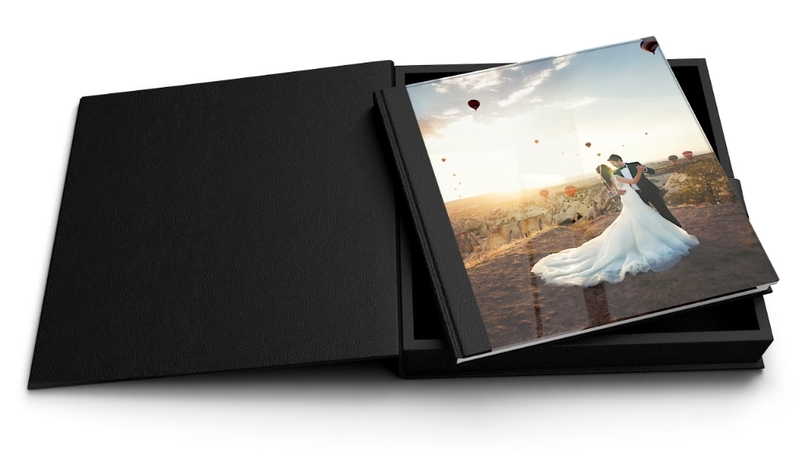 Our photo booklets are constructed with premium paper, a transparent protective covering and a spiral binding. Become familiar with the various finishes for our products with the three sample sets. Paper Samples: From photobook paper to cards. Wall Decors Samples: Full range of acrylic glass through to artist canvas'. Cover Samples: In an elegant leather, wood or metal look and linen for photobooks. A gift voucher from Saal Digital: Always the right choice! Various Designs: Discover Curlicues, Lola, Tom and the Party design. Voucher Value: Set the voucher value yourself. By registering for the newsletter, Saal Digital will periodically inform you about current offers, new products and professional information. In addition, you can always stay current via Facebook or Google+. Transparency is important to us: At Saal Digital, you receive all of your products directly from the manufacturer. This guarantees fast delivery and smooth communication without going through a third party. We offer you various options for the payment of your orders: Choose a payment method such as direct debit, credit card or PayPal.